Nigeria has been inundated with lackadaisical and dangerous press from both the presidency and private media. And the trend seems to be picking up pace, meriting some form of radical check. President Buhari’s media team have been rebuked for being either clueless or bent on sabotage. First was a press release claiming Buhari had declared his assets in fulfilment of his campaign promises. Of course he hadn’t yet, his media team simply did not understand or feigned ignorance of what ‘declaring assets’ was and the difference between that and making public the declaration. Shortly after, they released a statement rectifying their blunder after provoking much hysteria in the nation. 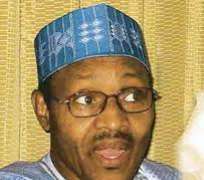 More recently they released a statement that Buhari had disbanded the NNPC board. It was again a statement to mislead people or mess-up the President. The NNPC board constituted by Diezani, stood disbanded the minute Jonathan dissolved his cabinet. Private media has continued to have its fill in these libellous, slanderous, misleading and junkying press. ThisDay carried a report some days back claiming Nigeria’s president was selling off the bulk of the presidential private jets. The report was immediately denied in totality by the Buhari media. Vanguard carried a report in which it claimed Buhari was removing the fuel subsidy in cognisance of the recommendations of the Joda report. Again the Presidency came out and categorically denied the allegation. The Pulse had its “All you need to know about Buhari’s new Chief of Staff,” and shortly after carried the Presidents denial of the said appointment. SaharaReporters just reported that an in-law of the president was arrested for inducements and arrangements . While we are not sure what to believe, the alleged denial of the claim by the person accused provided us less comfort than the report itself. “I am with Buhari now, I was with him yesterday,” Mr. Yola had said . Like an avid promo for more arrangements and an advert to let us know how our President spends or does not spend his time. The PDP ‘party’ has as expected, continued its barks, spewing incoherent and often brainless arrays of alphabets at every opportunity they have in keeping with the FFK-Fayose-Okupe—Metuh-Omokri, Wendell Simlin doctrine. There is little dispute that the current abuse of and by the media rocketed during the Jonathan years when Nigeria’s presidency was witnessed investing billions of dollars in libellous productions starting with the ‘northern elements bombed Abuja’ and the ‘Buhari promised to make Nigeria ungovernable’ slander tale which got Reuben Abati and the Nigerian Guardian to apologize publicly after Buhari sued them, and even got President Jonathan to beg Buhari to forgive and drop the libel charges. But today it has gotten out of hand with spins, pre-spins, projected spins and spins of personal desires all awash in social media, online and print press. Thoughts and whims literally come to life in today’s media including those with malicious intent. And the president’s media team is busy either misleading us or correcting misleads and thus too busy to inform us… if there is information, that is. Decree No. 4 of 1984 was established to provide protections against false accusation, false speech, libel and sedition in the Press. A Decree that put the onus of proof on the publisher, has been obviously seen as brutal. It was. However with the attitude and irresponsibility of today’s media practitioners including in the presidency, one can only see the reasons why laws protecting from hate, dumb and misleading, seditious speech might be desirable.